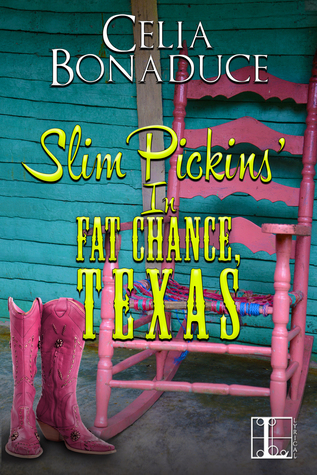 home is where the heart is, but will the citizens of Fat Chance, Texas see the radiance behind the rubble? Dymphna didn’t want Suzanna – or Suzanna’s sister Erinn, or their mother Virginia – worrying about her, so she tended to embellish how well things were going in town when she spoke to them. No harm done, until Suzanna sent an email to Dymphna, letting her know that the fabulous Fernando had sold his share of the B&B to his partner and was looking for a new place. Suzanna thought Fat Chance sounded like a ground floor opportunity and Fernando was very excited about checking it out. Without admitting to a pack of white lies, Dymphna convinced herself that he might actually like the place. Fernando, Dymphna and Pappy turned towards the door as Thud, the enormous bloodhound that shared Dymphna’s farm, bounded into the room. Thud sensed the new blood and raced to welcome Fernando to town. The dog reared back, then jumped. He put his front paws on Fernando’s shoulders, knocking the chair over. Fernando and Thud landed on the floor, the dog looming over the man. Drool ensued. Dymphna hoped Fernando found this charming, but suspected by Fernando’s involuntary yowling that he was not a dog person. Dymphna pulled the dog off him and Pappy righted his chair. Fernando wiped the dog slobber from his face, this time stuffing his no longer white handkerchief into his jeans. “Tell him how great this place is, Pappy,” Dymphna said as she lugged Thud back outside. They all thought of the place as a ghost town, but it was actually a study in “arrested decay.” The structures had been maintained, but only to the extent that they would not be allowed to fall over or otherwise deteriorate in a major way. That explained why the town was a mishmash of buildings from the turn of the twentieth century with electricity, running water, a few 1950’s appliances – and a faint internet signal. “Less than anything on earth,” Fernando said. Dymphna hesitated, but realized there was nothing she could say or do to make Fernando decide to stay. She and Thud headed up to the farm, the two men watching them until they were two small specks on the horizon. The speck that was Thud bounced all the way up the hill. “Who maintained the buildings all these years?’ Fernando asked. “Oh, I doubt that,” Fernando said.